Security Bags are plastic shipping bags which provide security and confidentiality to the shipped documents. At Polypak Packaging, we offer an exceptional product that ensures our customers benefit from the highest level of security and confidentiality available. Security and confidentiality are important criteria for people who send documents and various types of evidence to other parties. For that reason, our team of experts goes above and beyond to create products that our customers trust. With the Sure-Safe Closure™ system, users will immediately know whether someone tried to tamper with the material inside. Polypak Packaging’s Armorite Double Duty security bags are a perfect example. Thanks to advances in technology, we can provide our customers with excellent evidence bags that ensure the highest level of security possible. 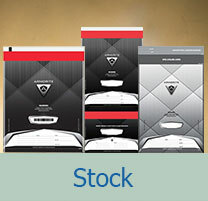 Check our stock section to learn about the latest offerings of PolyPak Security bags. You can also buy online by visiting our E-store webpage. Ranked as one of the top security bags manufacturers, we take both confidentiality and security seriously. 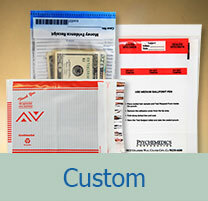 All of our custom security bags are made in the United States and constructed with high-quality material. For added security, all of our custom security bags used for evidentiary purposes have unique numbering, which includes a coordinating receipt number. In our efforts to support a healthy planet, PolyPak makes our security bags from a high-quality post-consumer recycled plastic. As a supporter of environmentally friendly solutions, we strive to become a leader among plastic manufacturers.